The 2014 Capitol Hill Chamber Music Festival presented two performances on period instruments. 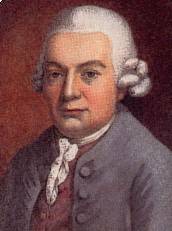 CPE BACH TRICENTENNIAL celebrates the 300th anniversary of the birth in 1714 of Carl Philipp Emanuel Bach with solo and trio sonatas by Johann Sebastian Bach's most well-known son. The program will include the solo for unaccompanied flute, a harpsichord solo, the duo for flute and violin, a sonata for flute and continuo, another for obbligato harpsichord and flute, and trio sonatas for flute, violin and harpsichord. 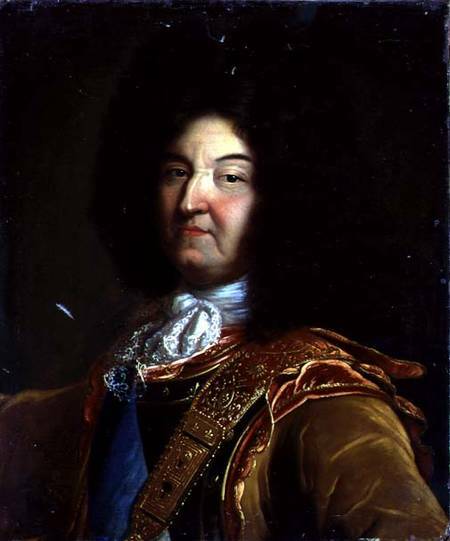 LOUIS XIV's BASSOON presents the East Coast premiere of 5 five new suites from the manuscript discovered by Jeffrey Cohan in Paris which details "the little concerts given for his Majesty in the evenings” in 1713. Several of the 67 suites which were “collected and put in order by Philidor le Pere", Louis XIV's music librarian Andre Danican Philidor l'ainé, were premiered last year and included in last year's festival, and this year's presentation of 5 additional suites is performed with bassoonist Anna Marsh, baroque flutist Jeffrey Cohan and violist Steve Creswell, all of whom performed this new group of suites for the first time in 8 performances in the Pacific Northwest in March, in this CHCMF performance with the addition of violinist Marlisa Del Cid Woods. Now in its 15th year, the Capitol Hill Chamber Music Festival has since 2000 presented chamber music by familiar as well as little-known composers from the Renaissance through the present on Capitol Hill in period instrument performances which intend to shed new light upon early performance practice as well as contemporary works. Unpublished works from the Library of Congress are given particular attention, and many have received their modern day premieres during these concerts, in addition to premieres of works by Slovenian composers. The Capitol Hill Chamber Music Festival is a nonprofit corporation in the District of Columbia. The programs will take place at 8:00 p.m., at St. Mark's Episcopal Church at 3rd & A Streets, SE in Washington, DC, just behind the Library of Congress on Capitol Hill. The suggested donation (a free will offering) will be $20 or $25. Students 18 years of age and under are free. Tickets will be available at www.brownpapertickets.com and at the door. For further information please call St. Mark's at (202) 543-0053 or email chcmf@aol.com. Conductor and harpsichordist JOSEPH GASCHO has won numerous grants and prizes, including first prize in the 2002 Jurow International Harpsichord Competition, and the Pomeroy Prize from the University of Maryland. Recent performing highlights include a world premiere recording of a newly discovered aria by J.S. Bach for National Public Radio, a production of Purcell’s Dido and Aeneas in Aix-en-Provence, France, conducting Vivaldi’s Gloria at the Magnolia Baroque Festival, and performing his own transcriptions of works by Bach and Charpentier. He recently conducted Vivaldi’s Eurilla e Alcindo at the University of Maryland, and Handel’s Tamerlano with Opera Vivente. He also coaches chamber music and coordinates accompanying and performs at the Amherst Early Music Festival, and has performed at Oberlin’s Baroque Performance Institute and the International Baroque Institute at Longy. He is pursuing a D.M.A. at the University of Maryland, where he also teaches basso continuo and performance practice. He also teaches at George Washington University. Baroque bassoonist ANNA MARSH is a Baroque wind specialist, who is also fluent in Renaissance, Classical and Modern instruments. Her interests lie principally in the double‐reed family, though she also performs on the Renaissance and Baroque recorder. This year she will be a featured soloist with the Boulder Bach Festival and New York State Baroque. Originally from Tacoma, WA, Anna appears regularly with Opera Lafayette (DC), Tempesta di Mare (Philadelphia), Ensemble Caprice (Montreal), Clarion Society (NYC), and Arion Orchestre Baroque (Montreal), Tafelmusik (Toronto), Seattle Baroque Orchestra, Washington Bach Consort (DC), and Musica Angelica (LA), among others. She has been the featured soloist with the Foundling Orchestra with Marion Verbruggen, Arion Orchestre Baroque, The Buxtehude Consort, The Dryden Ensemble, The Indiana University Baroque Orchestra and others. She co‐directs Ensemble Lipzodes and has taught both privately and at festivals and master classes at the Eastman School of Music, Los Angeles Music and Art School, the Amherst Early Music, and Hawaii Performing Arts Festivals and the Albuquerque, San Francisco Early Music Society and Western Double Reed Workshop. She has also been heard on Performance Today, Harmonia and CBC radio and recorded for Chandos, Analekta, Centaur, Naxos, the Super Bowl, Avie, and Musica Omnia. Marsh has studied music and German studies at Mt. Holyoke College, The Thornton School of Music at the University of Southern California and Jacobs School of Music at Indiana University. Violinist MARLISA DEL CID WOODS, a native Washingtonian, is highly acclaimed as a solo artist, chamber musician, and orchestral violinist. Her versatility in different styles has been featured in many of the world’s leading venues - from Bluegrass at the White House to Brahms Double Concerto at the Kennedy Center. Woods has performed with the Cleveland Orchestra, National Symphony Orchestra, Concert Artists of Baltimore, Alexandria Symphony, National Gallery Orchestra, Canton Symphony, Youngstown Symphony, and the Erie Philharmonic. As a baroque violinist, she performs regularly with the National Cathedral Baroque Orchestra, Bach Sinfonia, Harmonious Blacksmith, the Vivaldi Project, Opera Lafayette and the Washington Bach Consort, and for four seasons with Apollo's Fire, the Cleveland Baroque Orchestra. She started her violin studies under the Suzuki Method with Robert Cole at the age of four, was a National Symphony Orchestra Fellow and was concertmaster and soloist with the American Youth Philharmonic. Woods studied at the Cleveland Institute of Music with David Updegraff and Donald Weilerstein earning both bachelors and masters degrees. She studied baroque violin at Case Western Reserve and privately with Marilyn McDonald. In 2000, Woods returned to the Washington, D.C. area as a member of the Pershing's Own U.S. Army Orchestra. Last summer, Woods performed Ravel's String Quartet and the Martinu Madrigals for a live audience on NPR in “Live from the Atherton” in Honolulu, Hawaii. This past season's solo engagements included performances of the Shostakovich First Violin Concerto with the Washington Metropolitan Philharmonic and Lalo's Symphony Espagnole with the Annandale Symphony. Ms. Woods can be heard on the Eclectra, Lyrichord and Dorian labels. Her most recent recording with the Bach Sinfonia and acclaimed lutenist Ronn McFarlane was selected as CD pick of the week by WETA 90.9FM radio. Violist STEVE CRESWELL performs on historical instruments with Pacific Baroque Orchestra, the Seattle Baroque Orchestra and Early Music Vancouver. He has recorded and toured internationally with Tafelmusik of Toronto, and REBEL from New York. On modern instruments, he has worked with dance companies, new music ensembles, and unusual string collectives–most recently, SCRAPE! the brainchild of Cornish School for the Arts professor, Jim Knapp. He also a member of Northwest Sinfonietta, a modern chamber orchestra hailing from Tacoma, Washington, and has played in the Whidbey Island Music Festival. Stephen performs frequently as concertmaster of Seattle Choral Company, and teaches at the Academy of Music Northwest in Bellevue, WA. In November, 2010, he jointly launched a new classical string ensemble in Seattle: the Kügeln Trio, with colleagues Nathan Whittaker and Laurel Wells.